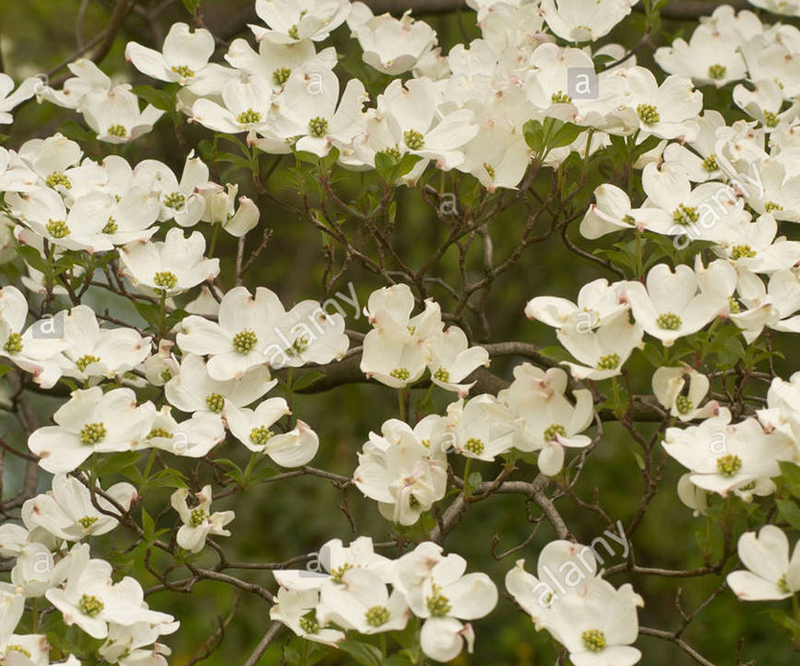 Dogwood is a small indigenous tree from twelve to thirty feet high, with a very hard and compact wood, and covered with a rough and brownish bark. The tree is of slow growth. The leaves are opposite, smooth, ovate, acute, dark green above, paler beneath. The flowers are very small, of a greenish yellow color, and constitute the chief beauty of the tree when in bloom. The fruit is an oval drupe of a glossy scarlet color, containing a nut with two cells and two seeds.